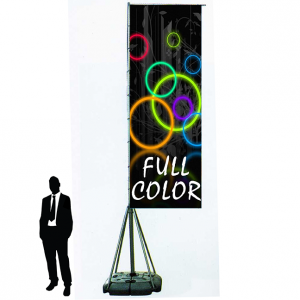 Want to get noticed in a gigantic way? 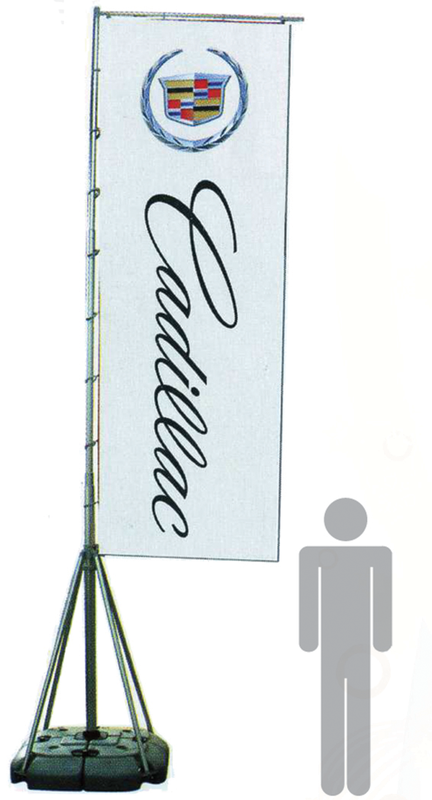 Giant Flags are perfect for outdoor events! You will be noticed! 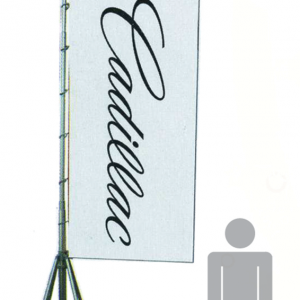 Easy to transport and setup, these flags are made of premium polyester and built to last. 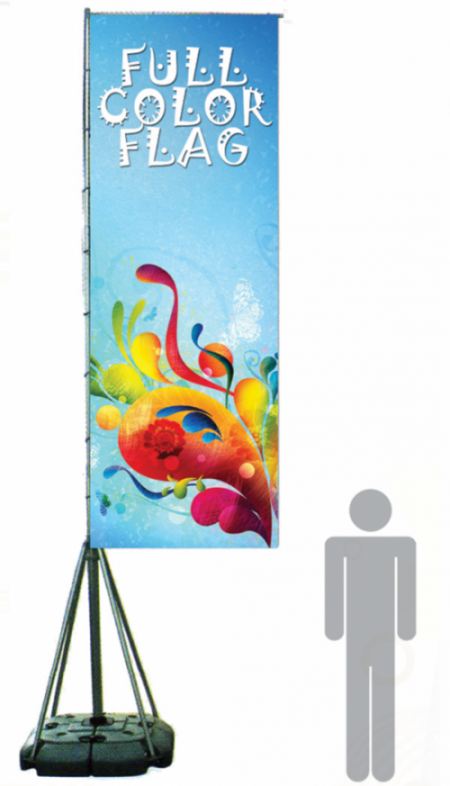 Choose from a single sided print with a 85% bleed through or double sided printing for a strong image on both sides. Fill the base unit with sand or water prior to using for stability.